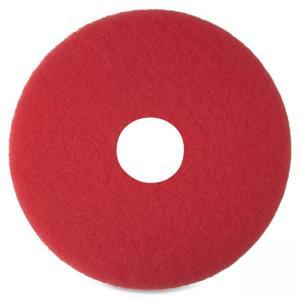 Niagara Red Buffing Pad 5100N cleans when wet and buffs when dry like two pads in one. This 16" pad will clean and remove scuff marks while polishing floors to a high gloss. Use it on a rotary floor cleaner at conventional speeds from 175 to 600 RPM.